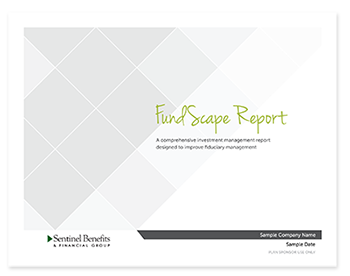 The FundScape Report is a proprietary investment screening tool that analyzes manager performance against peers across three key quantitative categories: Return, Risk and Portfolio factors. We’ve developed a single, comprehensive investment management report that will be made available to you on a quarterly basis via the Sentinel Online Vault. By better organizing data and improving the fiduciary management process, we believe your investment committee will be able to make prudent and concise investment decisions more easily.